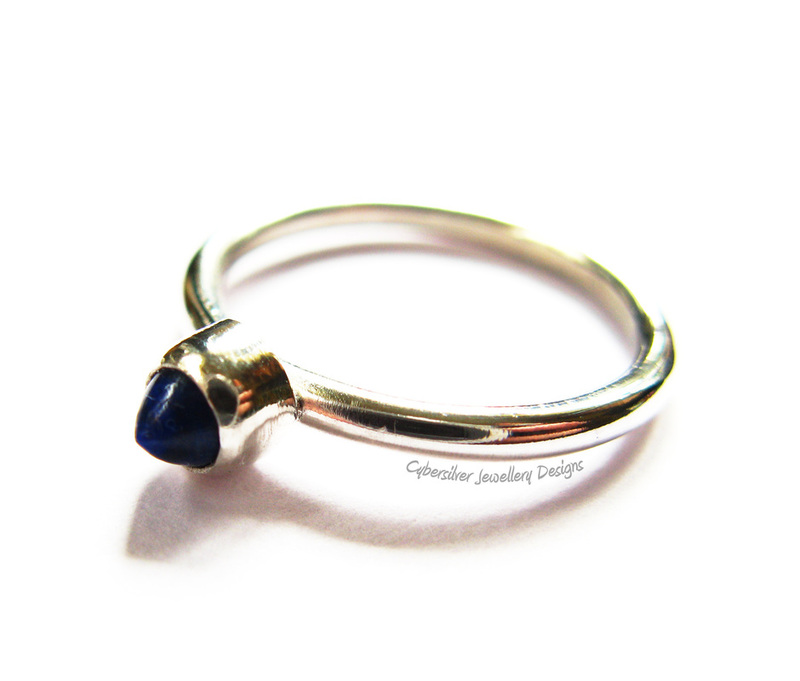 An unusual-shaped, deep blue lapis lazuli set on a sterling silver ring. The ring is constructed from 2 mm round-section silver and the lapis lazuli gemstone measures 3 mm round at it's base. 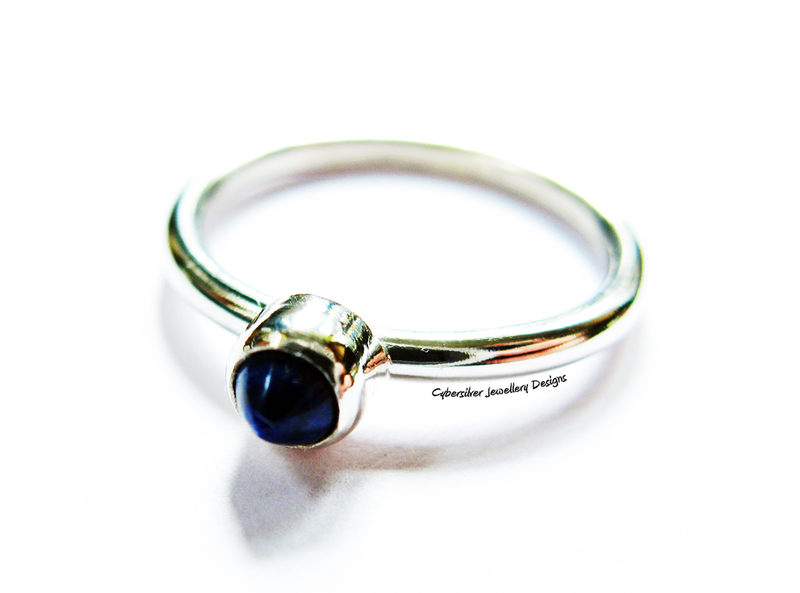 This ring is finished to a high shine. 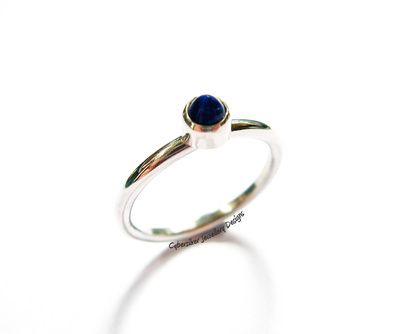 Lapis lazuli is the birthstone for September.